Few steps to send the release to your portals! Open your rooms and your guests will be able to check in only if they book a maximum of X days in advance. 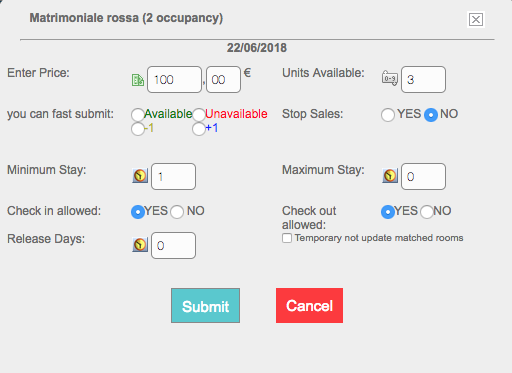 For example: Double room has 3 days of Release on the 10th of may. So the room will be bookable from the 7th of may. Insert the desired value in the box Release Days and click on Submit. If you want to set this value for a longer period you can do the same thing clicking on Modify period.